Is Using Cannabis in Your DNA? Evidence suggests that not all humans are wired for cannabis. Yet, there may be some people who are more likely to rely on the herb than others. Cannabis is among the oldest cultivated medicinal plants. Its agricultural history dates back over 12,000 years, meaning that humans have closely coexisted with this plant for a very long time. Cannabis prohibition has only been around in relatively recent history. Doctors were using the herb in clinical practice in the United States clear until the late 1930s. But, does this mean that humans are born to smoke the herb? 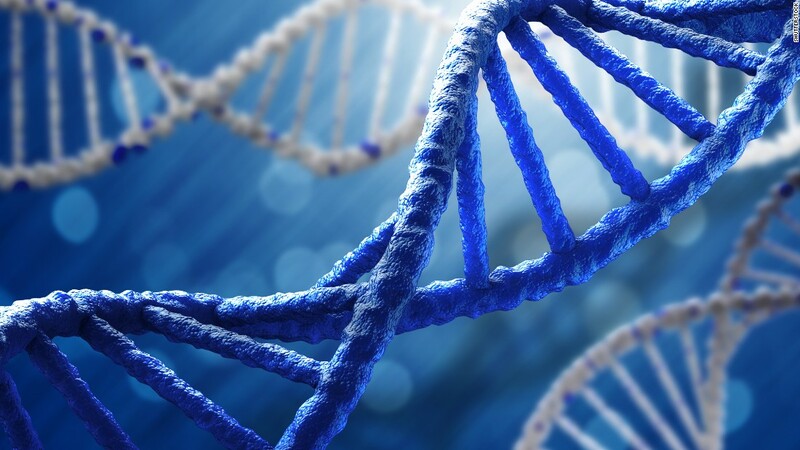 Is using cannabis in your DNA? Here’s the answer. What makes cannabis such a unique medicinal plant? The cannabis plant stands apart as a uniquely powerful medicinal herb. The plant is a ripe natural pharmacy, producing over 400 different chemical compounds. It is the way that some of these compounds engage the body that makes this plant so astounding. As it so happens, chemicals in the herb tap into one of the most important neurotransmitter networks in humans and other animals. This network is called the endocannabinoid system (ECS). The ECS is what bridges the brain to the body. It is responsible for an extremely wide variety of bodily functions, including visceral sensation. Simply stated, visceral sensation is your “gut feeling”. It’s what allows you to feel butterflies in your stomach or pain after eating. The ECS is made up of tiny communication molecules that land on specific receptor sites on the surface of your cells. These communication molecules are called endocannabinoids, and they help us process and respond to our surroundings to maintain optimal balance in the body. Cannabis is such a unique and valuable medicinal plant because compounds in the herb, like the famous psychoactive tetrahydrocannabinol (THC), directly engage the endocannabinoid system. Said another way, cannabis connects with a major system in the body that regulates the harmonious interaction of our organ systems and our brain. Researchers are currently investigating the ways in which other plants engage the ECS. Thus far, however, no known plants produce the same exact compounds as cannabis. To some, it might seem like an awfully big coincidence that one single plant just so happens to hold the key to unlocking such a vast neurotransmitter network. The building blocks of this network are coded by DNA. Genetics and DNA don’t necessarily make you wired for cannabis. Instead, these factors determine what the ECS looks like inside your individual body and how well your body can produce its own endocannabinoids. However, there is a growing amount of evidence that suggests that some people may be genetically more inclined to reach for cannabis than others. In this sense, yes, using cannabis is in your DNA. As a New York Times editorial points out, an estimated 20 percent of the world’s population tests positive for the “feel good gene“. This particular gene prevents the breakdown of an endocannabinoid called anandamide, which is the body’s natural THC. In fact, the word ananda comes from the Sanskrit word for bliss. The lucky few who won this genetic lottery may be less likely to be anxious and are more likely to have a mellow, low-key attitude. However, theory has it that these people may also be less likely to become chronic cannabis consumers. Yet, some people may have DNA that makes them more likely to pick up the herb. A 2014 study found that patients with schizophrenia also share overlapping genes that may make them predisposed to cannabis consumption. The study was conducted in over 2,000 individuals. Additional research from 2016 has found that there are specific genes which might make a person more likely to become dependent on the herb. Interestingly, mutations in these genes are also associated with psychiatric conditions like major depression. Though more research is needed to make firm conclusions, this evidence suggests that not all humans are wired for cannabis. Yet, there may be some people who are more likely to rely on the plant than others. For everyone else, cannabis remains a mysterious plant with an uncanny knack for treating what seems like more medical conditions than you can count.